THE whole of Australia was celebrating Adam Scott's Masters victory today, however the Sunshine Coast had cause to cheer among the loudest. 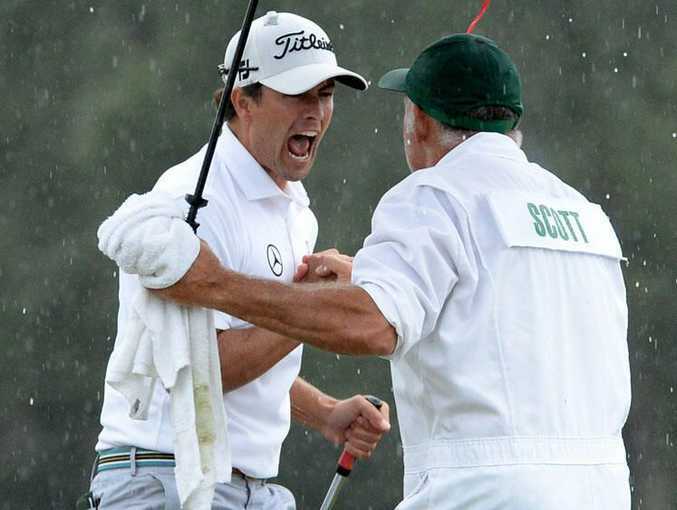 Scott broke through for the country's first win at Augusta when he outlasted Argentina's Angel Cabrera in a thrilling play-off. The 32-year-old spent a year on the Sunshine Coast as a teenager, attending Matthew Flinders Anglican College and playing out of Headland and Twin Waters golf clubs. Adam was a foundation student at Flinders in 1990, from Year 5 through to 7 before the family moved to the Gold Coast. The college's Acting Principal, Gerry Price taught Adam physical education. Matthew Flinders is no stranger to golfing talent, with it having an amazing player, Jack Trent, in Year 9. Adam's mum Pam worked in the Uniform Shop at the college for a number of years. "It's something Adam has wanted so long, it was just a delight to watch," Pam Scott told the Gold Coast Bulletin from the Sanctuary Cove Golf Club. "My daughter Casie and I watched it all morning and we just leapt in the air when he made that Putt. "It was a hard putt too, but he has worked so hard and deserves this." His father Phil helped establish Twin Waters and designed the course at Peregian Springs. He is still a regular visitor to the Coast, with those that know him best claiming he was not forgotten his roots. 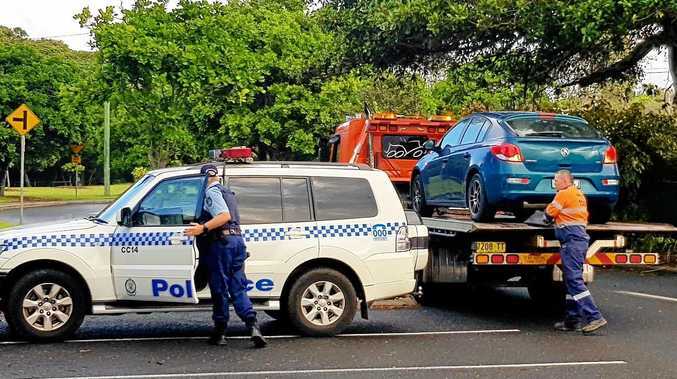 Premier Campbell Newman said the 32-year-old's achievement would ensure "many Queenslanders start the week with a smile on their face". 2003 Deutsche Bank Championship. 2004 THE PLAYERS Championship, Booz Allen Classic. 2006 THE TOUR Championship presented by Coca-Cola. 2007 Shell Houston Open. 2008 EDS Byron Nelson Championship. 2010 Valero Texas Open. 2011 World Golf Championships-Bridgestone Invitational. 2013 Masters Tournament. 2001 Alfred Dunhill PGA Championship [SAf]. 2002 Qatar Masters [Eur], Gleneagles Scottish PGA Championship [Eur]. 2003 Scandic Carlsberg Scandinavian Masters [Eur]. 2005 Singapore Open [Asia], Johnnie Walker Classic [Eur]. 2006 Singapore Open [Asia]. 2008 Commercialbank Qatar Masters [Eur]. 2009 Australian Open [Aus]. 2010 Barclays Singapore Open [Asia]. 2012 Talisker Masters [Aus]. P1 -- Masters Tournament. T3 -- World Golf Championships-Cadillac Championship. T10 -- Northern Trust Open. 64 at Round 4, World Golf Championships-Cadillac Championship. Finished T10 at the Northern Trust Open in his first PGA TOUR start of the season. Fired the round of the week with a final-round, bogey-free, 8-under 64, jumping from T19 to T3 at the World Golf Championships-Cadillac Championship. It was his best round since posting the same score in the first round of the 2012 British Open. Improved each day, with rounds of 72-70-68-64. 1 -- Deutsche Bank Championship, THE PLAYERS Championship, Booz Allen Classic, THE TOUR Championship presented by Coca-Cola, Shell Houston Open, EDS Byron Nelson Championship, Valero Texas Open, World Golf Championships-Bridgestone Invitational, Masters Tournament. 2 -- The Open Championship. 3 -- AT&T National. T6 -- BMW Championship. T7 -- Deutsche Bank Championship. T8 -- Masters Tournament.